Andrew Wheeler has been acting chief at the agency since Scott Pruitt resigned. President Donald Trump's nominee to take over the federal agency charged with protecting human health and the environment faced questions about the impact of the government shutdown on EPA and his views on climate change in a Senate hearing on Wednesday. 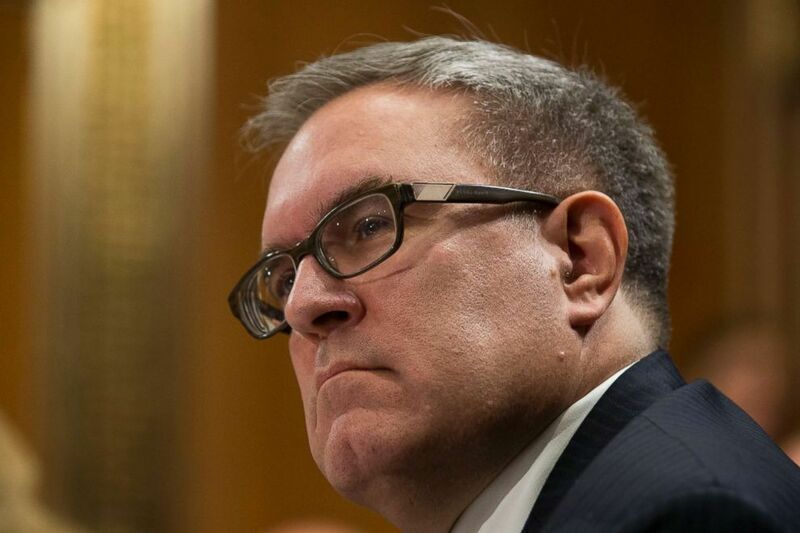 Andrew Wheeler took over the helm of Environmental Protection Agency in July after Scott Pruitt, the previous administrator, resigned amid increasing ethical questions and controversy. Wheeler had previously been confirmed as deputy administrator in April. Wheeler has been working as acting administrator for several months and Trump nominated him to officially take over the post earlier this month. 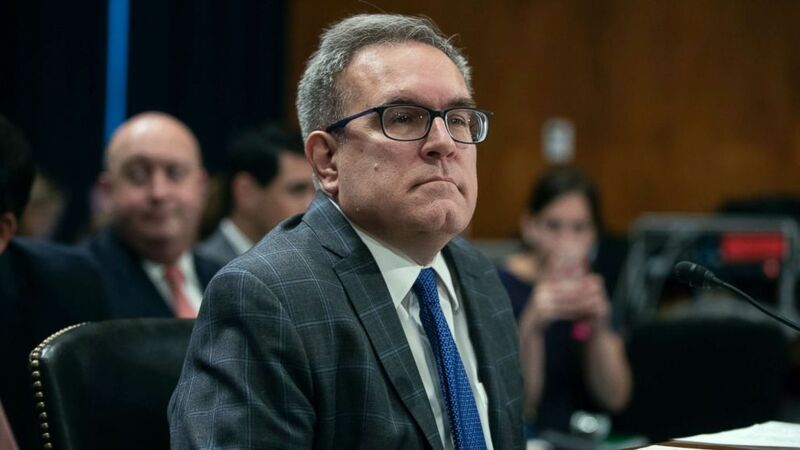 Years before he was nominated as acting administrator, Wheeler worked for the committee considering his nomination -- the Senate Environment and Public Works Committee -- and worked in the EPA Office of Pollution and Toxics as a career employee. (Alex Edelman/picture-alliance/dpa/AP ) Andrew Wheeler during his confirmation hearing to be Deputy Administrator of the EPA before the United States Senate Committee on the Environment and Public Works, November 8th, 2017. Democrats on the committee pressed Wheeler on whether he considers climate change an urgent issue and whether he's studied recently released climate reports from the United Nations and U.S. government that emphasize the need for more dramatic action. (Chip Somodevilla/Getty Images) Sen. Bernie Sanders questions Andrew Wheeler during his confirmation hearing to be the next administrator of the Environmental Protection Agency on Capitol Hill, Jan. 16, 2019, in Washington. 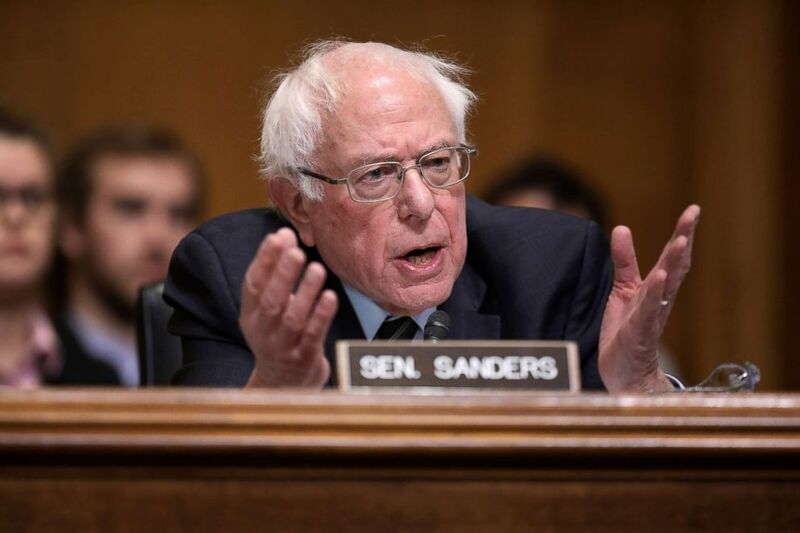 Sen. Bernie Sanders, I-Vermont, asked Wheeler is he agrees with findings from the majority of the scientific community that climate change "is one of the great crises facing our planet." "I would not call it the greatest crisis, no sir, I consider it a huge issue that has to be addressed globally," Wheeler responded, adding that Americans can have confidence in his leadership because EPA is moving forward on proposals he says will reduce carbon dioxide emissions. Wheeler said EPA is continue to pursue policies like the replacement for the Clean Power Plan and fuel efficiency rules that the agency says will continue to reduce carbon dioxide emissions. Wheeler said experts at the agency tell him the plans will reduce emissions, though senators referenced analysis by agency experts that found pollution could increase as a result of the rules. Democratic Sen. Jeff Merkley pressed Wheeler to say how concerned he is about climate change "on a scale of 1 to 10," to which Wheeler responded "8 or 9." Democratic Sen. Ed Markey also told Wheeler he was "100 percent wrong" that climate change isn't a crisis and later called it "unacceptable" he would seek confirmation as EPA administrator while saying he hasn't had time to fully evaluate the scientific reports on climate change. When asked, Wheeler did not say if he agrees with the broader conclusions of a major government climate report released in November, saying he was briefed once on the report but additional briefings scheduled in January were postponed because of the government shutdown. "That's unacceptable, you're looking to be confirmed as the head of the environmental protection agency and we're having a hearing on your worthiness for this job and you very conveniently haven't had enough time yet to review whether or not there's an extra level of urgency to this problem," Markey said. (J. Scott Applewhite/AP) Andrew Wheeler, acting administrator of the Environmental Protection Agency, appears before the Senate Environment and Public Works Committee on Capitol Hill in Washington, Aug. 1, 2018. Later in the hearing, Markey said not having read the report was "a disqualification" for a candidate for EPA administrator. But Wheeler pushed back saying, "I didn't say I didn't read it -- I said I haven't finished being briefed on it by my staff." Wheeler also pushed back on criticism that the agency rolled back Obama-era rules, including the Clean Power Plan, intended to dramatically reduce carbon dioxide emissions. Wheeler said the plan was blocked by the Supreme Court and never took effect. Environment and public health groups have said they're alarmed that any rollback of a rule on mercury emissions from power plants because the pollutant and other toxic substances covered by the rule are harmful to children and developing babies. "Under our preferred option I do not believe there will be a weakening in the mercury standards at all as far as equipment that has already been deployed and implemented across the board," he said. "I get accused of rolling back the Clean Power Plan, I don't think you can roll back a regulation that never took effect. And on (the Mercury and Air Toxics Standard) I don't think you can roll back a regulation that's been fully implemented." Democrats on the committee, led by Ranking Member Sen. Tom Carper of Delaware, also raised concerns that the nomination is being rushed during the government shutdown even though Wheeler could continue to work in an acting capacity for much of the year. "I do not believe that giving the acting administrator a speedy promotion is more urgent and more important than protecting the public from contamination to our air and water and lands. Our priority should be reopening EPA and the other closed federal agencies," Carper said in his opening statement. A protester stood up as Wheeler began his remarks to "object" the hearing was being held during the shutdown. More could be heard in the hallway outside the hearing room chanting: "Shut down Wheeler, not the EPA." Wheeler confirmed in the hearing that some EPA policies have been delayed because of the shutdown, including a management plan to deal with a class of chemicals known as PFAS that contaminate groundwater and drinking water in some parts of the country. Wheeler said a plan to manage the chemicals and set limits for drinking water was set to be announced next week but will now be delayed. 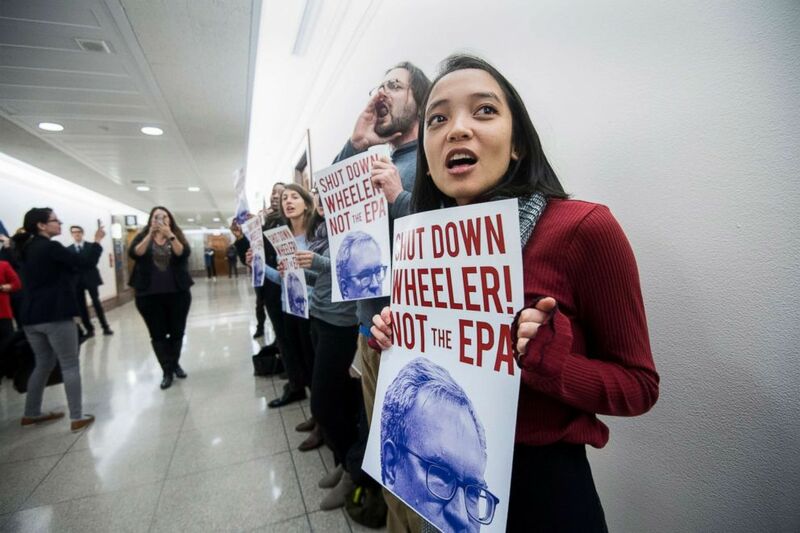 (Bill Clark/CQ Roll Call via Newscom) Protesters line the hallway outside of the confirmation hearing for Andrew Wheeler to be administrator of the Environmental Protection Agency in the Senate Environment and Public Works Committee, Jan. 16, 2019. Last May, the EPA said the management plan would be released in fall 2018 and that the agency would move to officially label the chemicals as "hazardous." He also told senators the agency will have to bring back staff to meet court-ordered deadlines on other rules like regulations on lead in dust.